It’s fun & easy to do the dishes with our Everyday Utensils Holder! Made with quality materials, this organizer is perfect for storing chopsticks, spoons, forks and more. 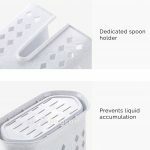 It even features a special dedicated slot for Chinese spoons, allowing you to better organize your utensils! Coming with a free adhesive hook, organize your everyday utensils with us today! Drying your utensils after a meal is no longer a hassle with our Modern Utensils Holder! With plenty of pockets and a dedicated knife slot, you can easily organize your kitchenware. Besides, it features a easy-to-assemble design for easy washing and drying. It’s a must-have essential for keeping your kitchen clean and organized! Made with fine natural wood and white coated iron, our Scandinavian Triple Layer Lid Holder takes inspiration from minimalistic Nordic designs! This unique holder organizes up to 3 lids and chopping board, helping to saving space beautifully! We recommend placing heavier lids or boards at the bottom and lighter ones on top! 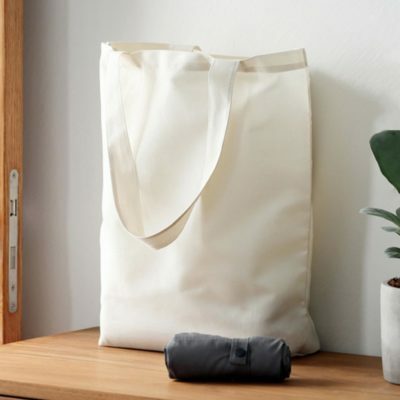 Simple, minimalistic and light-weight, our Light Foldable Tote Bag is a beautiful carrier for work, play and travel. When needed, simply unbuckle to reveal spacious and well-built tote. To keep, you can easily fold it up to save space. Coming in two beautiful colours, carry home this versatile tote bag today! Unlike a regular hand towel, our Softly Microfiber Hand Towel has truly handy features! Its microfiber material prevents bacteria accumulation, allows for quick drying and has a comfy touch to it. Besides, it features a hanging tassel for added convenience. Keep your bathroom hygienic and comfortable with this unique towel today!